Kellyanne Conway, Counselor to Donald Trump, has been ridiculed after criticizing the media for failing to report a terror attack which never actually happened. After describing the inauguration crowd metrics as “alternative facts,” Conway has this time been mocked for inventing the ‘Bowling Green massacre’ in an apparent effort to justify Trump’s controversial immigration executive order.
.@KellyannePolls says that 2 Iraqi refugees "were the masterminds behind the Bowling Green massacre." Speaking to MSNBC, the president’s senior aide cited the fictional massacre in an effort to compare Trump’s seven country travel ban with former president Barack Obama’s six-month slowdown of processing Iraqi refugees in 2011. 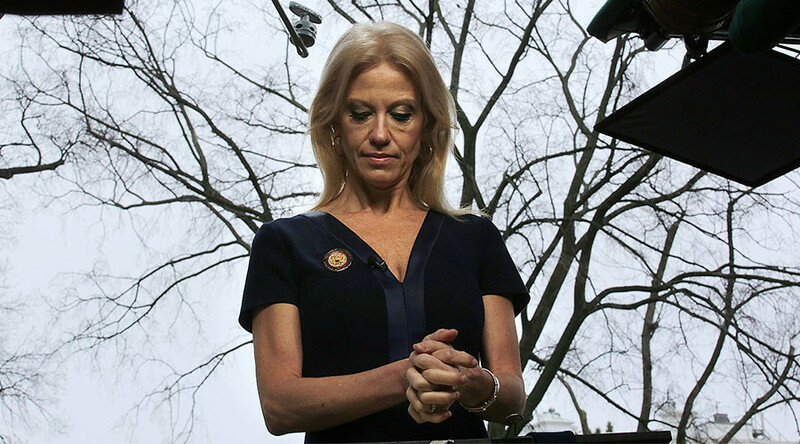 “I bet it’s brand new information to people that President Obama had a six-month ban on the Iraqi refugee program after two Iraqis came here to this country, were radicalized and they were the masterminds behind the Bowling Green massacre,” Conway said. Conway was referring to two men from Bowling Green, Kentucky, who were arrested for sending money and weapons to Al-Qaeda in Iraq. The two are currently serving life sentences after being convicted on federal terrorism charges. While the two men had previously fought as insurgents in Iraq and admitted to using improvised explosive devices (IEDS) against US soldiers, they did not carry out any terror attacks in the US. “Neither was charged with plotting attacks within the United States,” the Department of Justice said in 2012. It goes without saying that the internet had a lot of fun with Conway’s gaff, with Bowling Green Massacre trending on Twitter. Before the day is out, Trump will recall seeing thousands of Muslims celebrating the Bowling Green massacre. A Bowling Green Massacre Fund was even set up to help the ‘victims.’ The donations link redirected to the ACLU. Gonna hold a fundraiser for the victims of the Bowling Green Massacre. How does February 30th work for everyone? Some were angry that the president’s senior advisor would diminish the tragedy of real terrorist attacks by making one up. @joesonka@KellyannePolls Why didn't Matthews ask what the hell she was talking about? Creative social media users were inspired to combine Bowling Green massacre jokes with other false statements made by the Trump administration. Saddened and sickened by Frederick Douglass' silence surrounding the Bowling Green Massacre. how funny would it be if Brian Williams tweeted "and there I was, covering the Bowling Green Massacre"